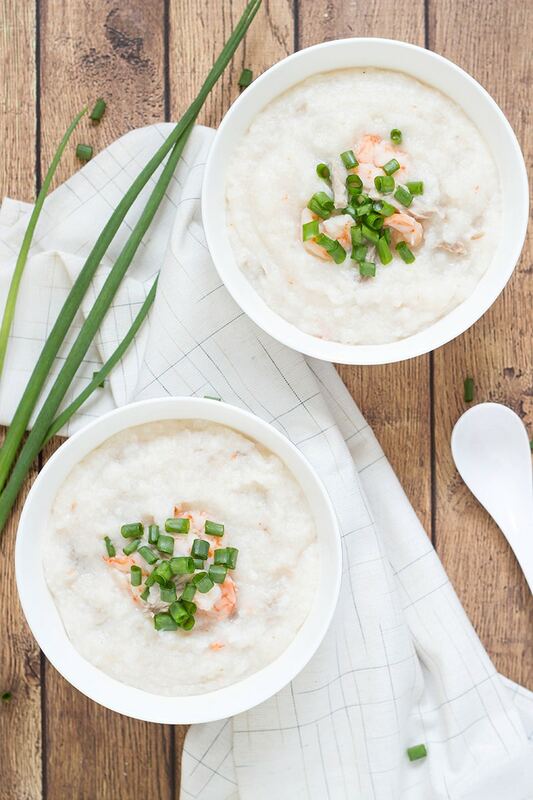 This Chinese Pork and Shrimp Rice Porridge, called Jook or Congee, is creamy and filling. Perfect for any meal of the day! I have said it countless times before and I am going to say it again – breakfast is my favorite meal of the day. Breakfast is absolutely sacred to me, and I never miss it. It’s actually impossible for me to miss the early morning meal, because I won’t have enough energy to run my errands for the day. I am not even talking about the days when I cook and take photos for the blog. It requires so much energy to work all day long, play for some time with my kid after the work, and instead of going to bed, spend few more hours in the kitchen. No, I am not complaining here, I love everything I do! I’m just trying to paint the picture of how the first meal of the day is essential to me. Do you eat rice for breakfast? Me – not so often. Sometimes I love to have a simple rice porridge: both savory and sweet. Sweet – with some jam, savory – with some sausage or cheese. Depends on the mood. But as I’ve already said, rice is not a frequent guest on my breakfast table. I am just too lazy to cook it in the morning. 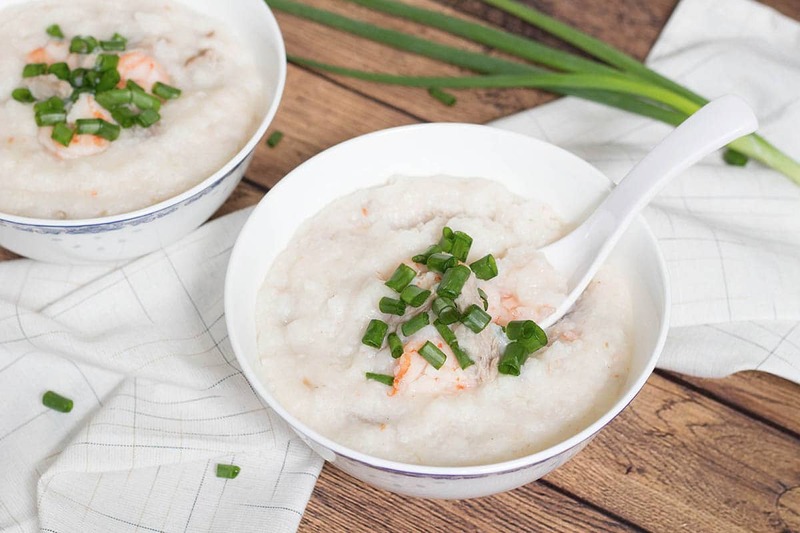 However, this Chinese Pork and Shrimp Porridge (Congee or Jook in Cantonese), which is a beloved breakfast option in China, can be also served at brunch, lunch, or dinner! I am saying this, because not everyone is used to meat early in the mornings. That’s right, it’s super versatile and so good! Chinese have hundreds or even thousands of rice porridge versions. The majority enjoys a simple one for breakfast, made with rice and water. 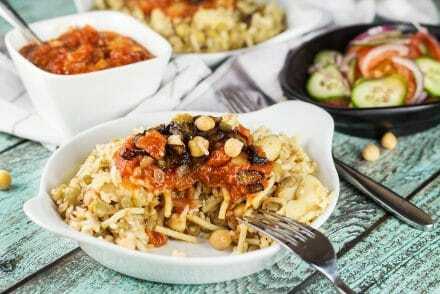 In this case it is served with side dishes, such as salted duck or chicken eggs, fried peanuts, fried noodles, or other. When additional ingredients such as meat, seafood, fish are added, Congee is served as a standalone dish. Simply put, Jook is overcooked rice. You have to cook rice for about an hour to make it. The end result is a thick, porridge-like consistency of largely disintegrated rice. But believe me, it’s so much more than that. The texture, the creaminess of the rice go so well with pork and shrimp. There is also ginger and scallions inside. Divine! Try this nourishing and filling Congee for breakfast or for any other meal of the day and you surely won’t regret it! 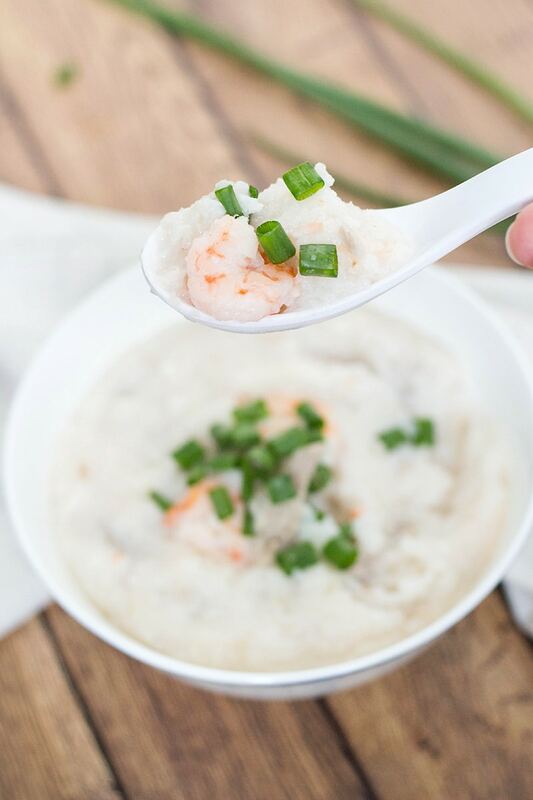 This Chinese rice porridge is packed with shrimp, pork, and veggies. Perfect any time of the day! Place the pork in a pot and cover it with water. Add the onion, ginger, scallions, and salt. Bring to a boil, reduce the heat to low, cover the pot leaving the lid a little ajar, and cook for 45 minutes. Remove the pork discarding everything else, and let cool. Cut into julienne strips and set aside. Place the rice and the water (or chicken stock) in a pot and bring to a boil. 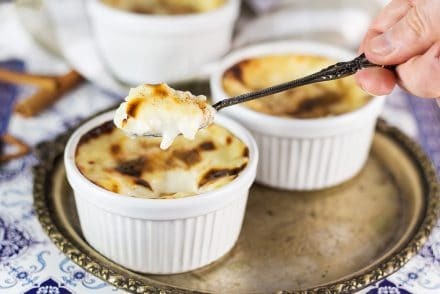 Reduce the heat to medium-low, cover the pot leaving the lid slightly ajar, and cook for about 50 minutes, stirring occasionally, until you get a porridge-like consistency. Meanwhile, clean the shrimp and place in a bowl. In another small bowl, mix the wine, soy sauce, sugar, salt, white pepper, and pour this liquid over the shrimp. Toss to combine and leave to marinate, while the rice is cooking. About 5 minutes before the Jook is ready, raise the heat to high. Add the pork and stir. Add the shrimp together with the marinade and stir once again. Bring the Jook back to a boil. When the shrimp are cooked (they turn pink), turn off the heat and serve. Enjoy! I really enjoy eating congee. I love the contrast of the pork and the rice. Also quite healthy for you. Yes, Mark, it’s definitely on the healthier side! I’m from Manila so we grew up eating rice for breakfast, lunch, dinner and even dessert lol! We like rice 🙂 I’ve cut down now but still love a good congee! Ironically we’ve never tried making it at home, we always thought it would be complicated, but you’re right, it’s really just overcooked rice. We can do that 🙂 I’ll let you know how it goes when we do. I have never tried pork and shrimp rice porridge. It looks delicious! Definitely, something I want to try soon! Thanks for the recipe! I do occasionally like rice for breakfast, but this sounds like comfort in a bowl. Perfect for a chilly morning (or anytime for that matter!). I’m not a fan of porridge, but this looks good! It reminds me of shrimp and grits. It’s so different to the sort of breakfast that I’m used to, but it sounds amazing! It is different, Kate. But you can try it for dinner! I am so intrigued by this recipe, it looks delicious! 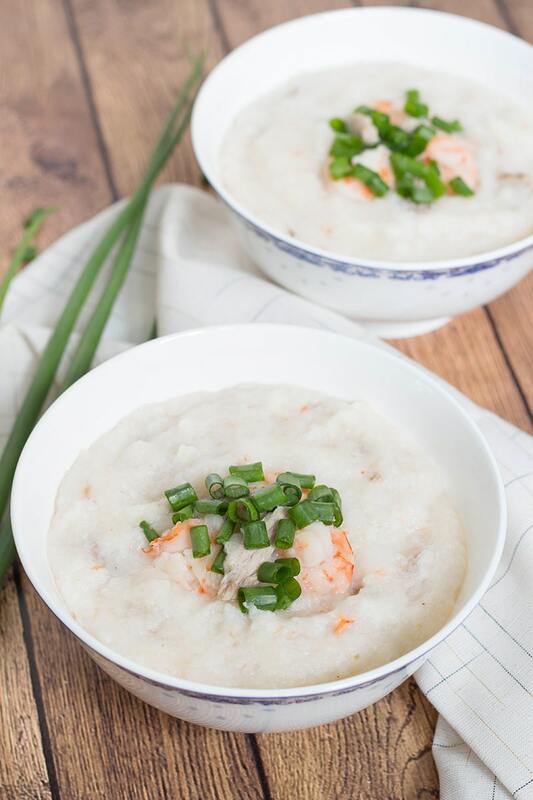 The rice porridge looks so creamy and I can imagine that it pairs beautifully with the shrimp and poached pork. I’ll look forward to trying this! Let me know how you like it, Amanda! I would never have thought of eating shrimp for breakfast….must be the Canadian in me. 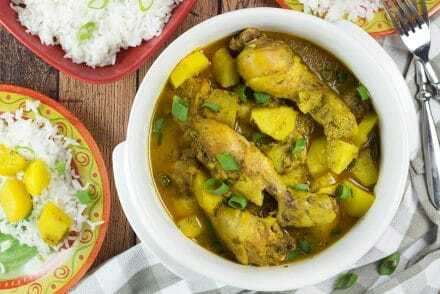 Very interesting flavour combination, and the dish looks so yummy too. I’ve only ever had sweet rice dishes for breakfast. This is certainly a different twist. Regina, me too! I grew up with sweet rice dishes. 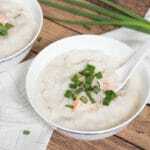 But you can try this Congee for dinner, and you will love it! Amy, I love my congee in any weather 🙂 Thanks for stopping by to comment!